Friends of Fuquay-Varina Downtown gather under the lights on Depot Street to celebrate Fuquay-Varina’s Historic Downtown and the people that make it such a special place. Dinner on Depot combines delicious food, great company, entertainment, live auction and dancing. Wine and beer will be available for purchase. This is a ticketed Fundraising and Downtown Awards Event that started in 2013 and has become an anticipated yearly event. Sponsors and Friends of Downtown receive advanced purchase option before any remaining tickets are offered to the public. 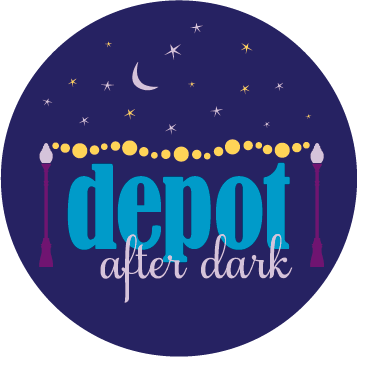 Since dinner seating is limited, Depot After Dark* was added as the “afterparty” in 2017 so that more friends can join in the fun! We can’t wait to see you on Depot Street for 2019’s Kentucky Derby-themed event! Dinner on Depot Ticket includes Depot After Dark admission. * Depot After Dark is included with a Dinner on Depot ticket. If you are not purchasing a Dinner ticket, you may purchase a Depot After Dark Ticket. Arrive and enter the event through The Mill at 146 S. Main St. Discover Downtown during a family favorite event! Enjoy the day by filling your baskets with goodies from participating merchants, find a new favorite spot, or grab lunch and a special treat along the way. The Easter Bunny and Spring Chick will be joining in the fun for some adorable photo ops! 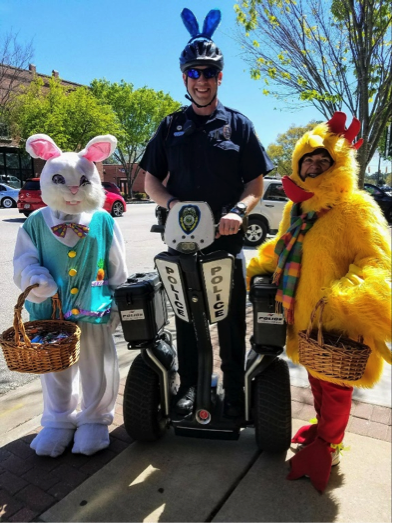 The Downtown Candy Hop takes place immediately following the Town of Fuquay-Varina Egg Hunt in both Downtown Districts from 11:00 am-2:00 pm or until the stores are out of candy. 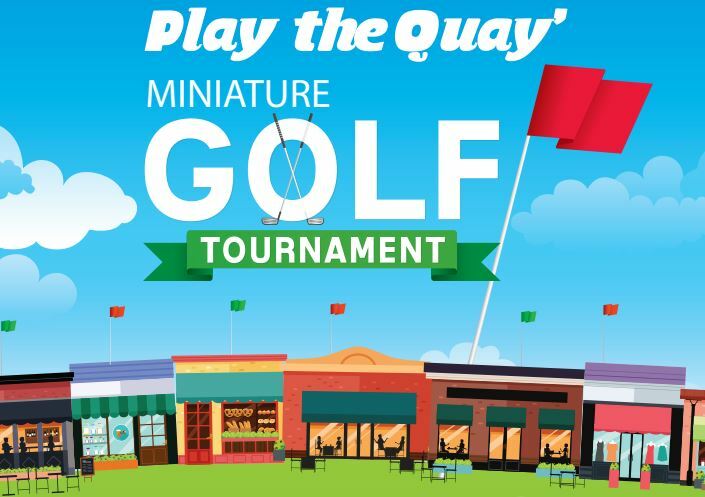 Join us on April 6th for the Inaugural Play the ‘Quay Mini Golf Tournament, where downtown businesses and organizations are creating putt-putt holes for you to play. All you need is a 4-person team to compete, have fun and win prizes! Must be 21 or older to participate. The cost of entry is $20 per person ($80 per team) and funds raised go to support the Fuquay-Varina Downtown Association. Hurry, the number of teams allowed to play will be capped. Tee time is 12pm on Saturday, April 6th. All teams start at the Fuquay-Varina Downtown Association office at 108 Raleigh St to collect their scorecards and course map. How does it work? The teams will visit each business to play the holes on the course. Every team member plays each hole to build the team’s score. No need to drive – the Century 21 Trolley will shuttle teams between the FVDA office in downtown Fuquay and a central location in downtown Varina. A 5 stroke maximum per player on each hole. Please do not try to putt out if you are unable to finish a hole in 5 strokes. If the hole has one, hitting into a hazard earns an automatic 1 stroke penalty. The player is then allowed to putt out the hole, using no more than 5 total strokes. See you Downtown to Play the Quay! “The best way to spread Christmas cheer is singing loud for all to hear,” Buddy the Elf. 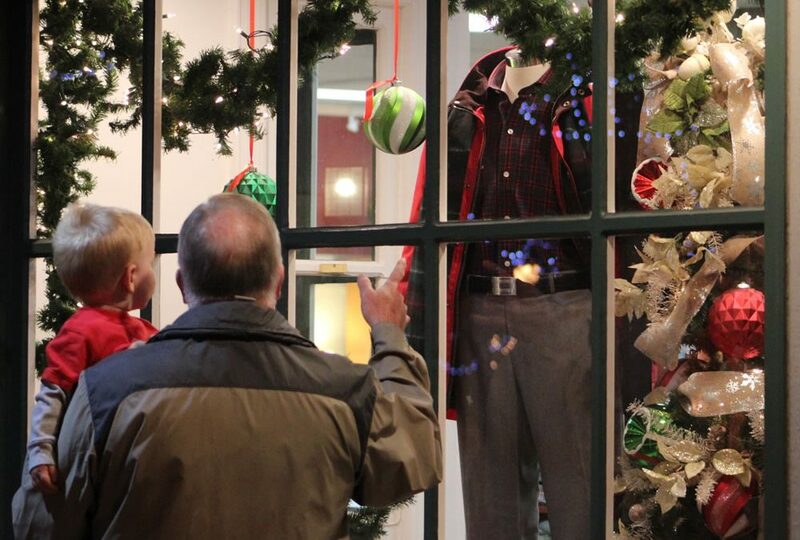 Downtown businesses love spreading Christmas cheer by decorating their storefronts and some entered into a friendly contest. Choose one winner in the survey here! Fuquay-Varina Downtown will host a ticketed Holiday Sleigh Ride on Thursday, November 29th from 6:00 – 8:00 pm during the Town Christmas Tree Lighting. Tickets are distributed to Sponsors & Friends of Downtown. Remaining tickets are available to the public at a ticket sale the night before the Sleigh Ride. For info about becoming a Friend, please visit our website www.fuquay-varinadowntown.com. The sleigh ride will be located at TR Ashworth’s Station (120 S. Main Street) in the historic Fuquay District. EVERYONE MUST HAVE A TICKET THE NIGHT OF THE EVENT. We are unable to presell & No requests to hold tickets can be honored. Where can tickets be purchased? When can they be purchased? Children under 2 can ride on a parents lap for free. Due to the horses only being able to pull the sleigh for a limited amount of time there are limited number of tickets for this event. Originally scheduled for September 22, this event will now be held on November 17th from 1 PM – 5 PM. $10.00 per 10 Tasting tickets – available for purchase the day of event. The BBQ always sells out before the end of the day, so come early if you want to sample the best BBQ around! 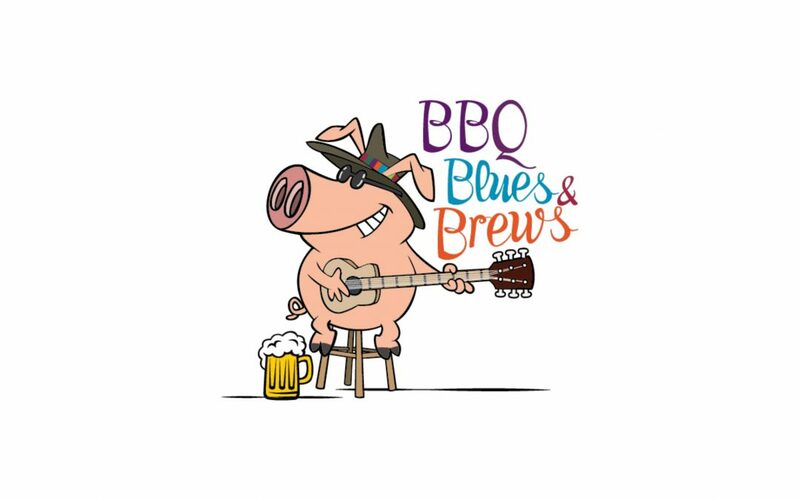 BBQ, Blues & Brews is laid back, fun and profitable event for winners as they compete for bragging rights and Prize Money. We hope to see you there!